Click here to view article on Noreena’s ITV blog. The America that voted in Donald Trump is a divided one. Since the 1990s, the gap between the haves and have-nots has increased, manufacturing jobs have been lost and for most workers real wages have been flat or falling. Home ownership is now at its lowest level in 51 years. No wonder Trump’s message of more jobs, better pay, more growth resonated with so many. But Trump’s analysis of America’s economic troubles is seriously flawed. He ignores the role the financial crisis has played in America’s economic trajectory and blames China and Mexico for job losses – ignoring the reality that in a time of technological advancements the loss of blue collar jobs is an inevitability. Even China is experiencing a loss of manufacturing jobs. As for Trump’s medicine? That is not only unlikely to deliver to the “ordinary” American he supposedly champions – it may well make their lives worse. At best his proposed income cuts look like benefiting the rich much more than the poor. 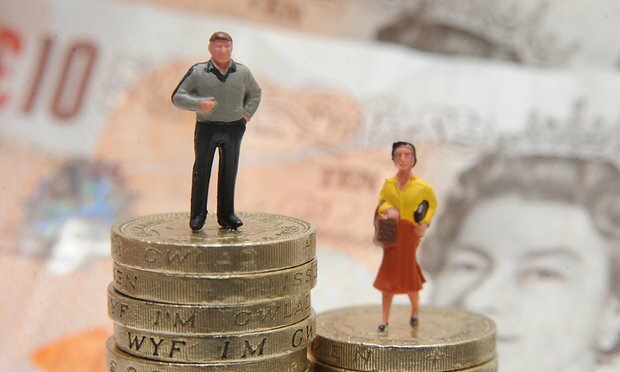 Brookings Institution research suggests that they would lead to the 0.1% of the population who earn over £3 million seeing their taxes fall on average by £88,000 (a cut of 14%). The poorest 20% of households, on the other hand, would see their taxes cut by only £88 (a cut of 0.8%). Lily Batchelder of NYU and the Tax Policy Center are even more pessimistic. According to their calculations, those who are just about managing will become in real terms worse off, whilst millionaires will get an average tax cut of £255,000, a single parent earning £60,000 with two school age children will face a tax increase of over £1,900. Trump’s proposed corporation tax cuts – whilst candy for the stock market – won’t necessarily lead to more jobs and more investment. History teaches us that such gains do not inevitably trickle down. A similar tax reform in 2004 which encouraged US companies to bring their funds back into the US by cutting slashing taxes lead to no increase in investment and only a transitory increase in employment. Companies instead increased their dividend payments and share buybacks. As for Trump’s plans to invest £800 billion in infrastructure, another proposal the markets have initially rewarded? Although this could boost the economy in the short term – creating a sugar rush in year one – the increased debt that the US would inevitably rack up could well have a pernicious impact later on. The fiscal stimulus would also likely have an upward effect on interest rates. And higher interest rates, mean higher mortgage rates, which could lead housing activity to slow down. As US growth has historically been influenced by housing activity, any slowdown here could constrain US growth. Then there’s Trump’s proposed repeal of the Dodd-Frank act, the set of regulations that came into force in the US after the financial crisis with the aim of making the financial markets safer. Trump claims these are stopping banks lending to people and businesses and that the regulations are behind America’s sluggish recovery. But even conservative economists who have looked into this admit that such evidence is not forthcoming. Less regulation of the financial markets could of course increase the likelihood of another financial crisis which would be bad for us all. We saw in 2008 just how quickly instability in American financial markets can spread to the rest of the world. 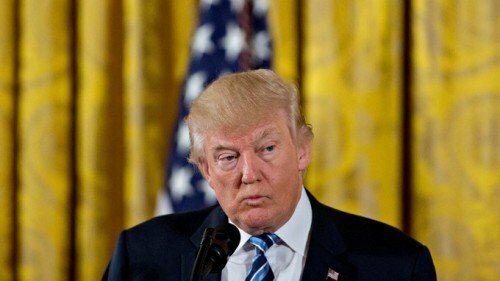 Trump’s commitment to repeal America’s climate change regulation – all references to climate change have now been purged from the White House website – is of course also of significant global concern. Whilst his “America First” trade policy and border tax proposals risk not only igniting a global trade war, but also harming America itself, imports are likely to become more expensive as other countries retaliate with tariffs of their own. US manufacturing is likely to suffer given its reliance on imports in the supply chain, while American goods are likely to become less competitive and manufacturing jobs and wages further depressed. The Peterson Institute has estimated that a trade war – should Trump impose the 35% and 45% tariffs on Mexico and China he has threatened and they do the same to the US – would lead to 4.8 million job losses by 2019. No wonder the dollar, which initially strengthened on the prospects of Trump presidency, is today weakening as the “reality” of the impact of Trump’s vision is sinking in. The “reality” – in a world where the President of the US claims that it didn’t rain when it did, and that his inauguration enjoyed the biggest crowd ever when it clearly didn’t – it’s essential we focus on that. Because under a Trump Presidency it already feels like it will be a question of who you believe. Regardless of what the economic statistics show Trump and his team are likely to spend the next four years proclaiming that the US economy is booming, that jobs are growing and that Trump is making America great again. The media, civil society and academia have a huge responsibility to scrutinise these claims and hold the Trump Administration to account. 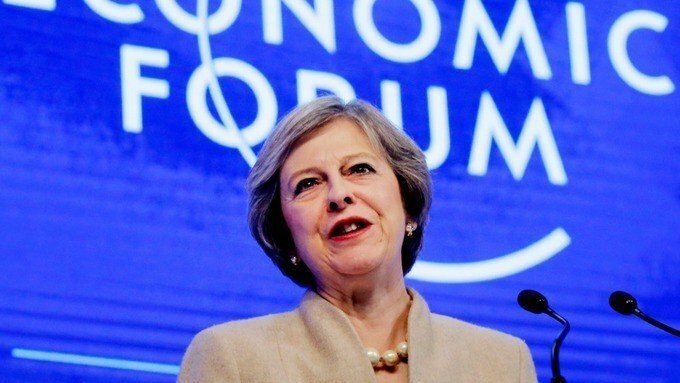 If Theresa May wanted her speech at Davos today to reassure British businesses about a post-Brexit UK, I’m not sure it did. Whilst she did reiterate her vision of a “Global Britain” “open for business” she also went on the attack – she said that she expects businesses to pay their fair share of tax, recognise their responsibilities to workers and play by the same rules as everyone else. A globalisation that works for all was essentially her message today. It’s one we’ve heard before. But again her speech was light on detail. What actually is she going to do? When? And how? Her speech on Tuesday in which she laid out her post-Brexit vision was another which was light on the “how” especially when it comes to trade. I met with Dutch Finance Minister and President of the Eurogroup earlier today – Jeroen Dijsselbloem. He will be a key figure in the negotiations the UK is about to embark upon with the EU. And his message was clear. Theresa May might be telling us that a post-Brexit deal with the EU can be even better than the deal we currently have. But as far as he’s concerned, this simply isn’t feasible. On our prospects for agreeing some sort of customs union arrangement with the EU post Brexit whilst at the same time pursuing bilateral free trade deals with the rest of the world he was unequivocal. “It is not realistic to be in a customs union with the EU and at the same time have trade deals with other countries. It’s not possible. It’s not realistic. It’s not available”. And as far as agreeing our new EU trade deal quickly? Well, Dijsselbloem made clear that this again was wishful thinking, very wishful. “We are heading for a very long and difficult negotiation” he said. Until we “divorce” from the EU, unravel our existing relationship with it and sort out who will still pay for what, Dijsselbloem believes we cannot even begin negotiating a post-Brexit trade deal. How long will this unravelling phase last? Dijsselbloem thinks quite possibly as long as two years. A trade deal with the EU not even starting to be negotiated for at least two years; a customs union in any shape or form simply not possible if we want to negotiate trade deals with other countries at the same time; a hard negotiation process ahead. For those businesses whose initial reaction to Theresa May’s speech on Tuesday was positive, Dijsselbloem’s words undoubtedly are not what they would’ve wanted to hear.